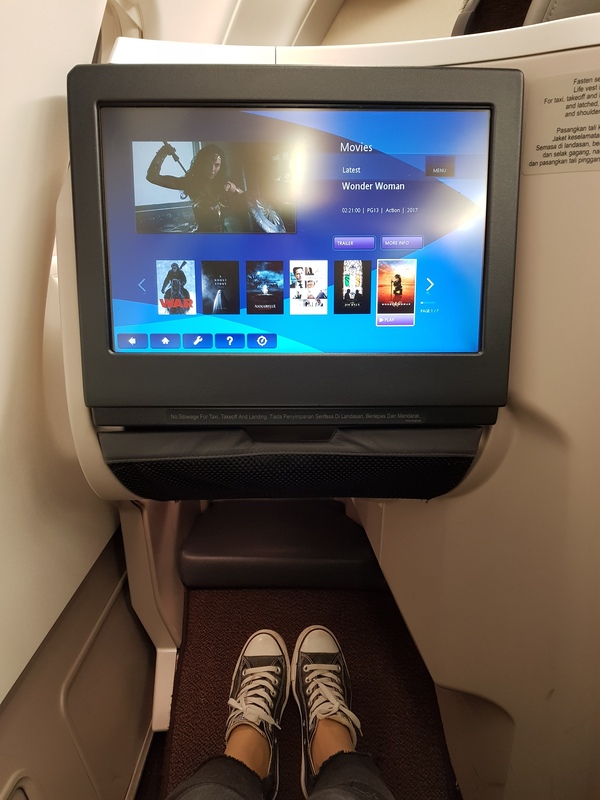 I’m rather pleased to say that I finally got my first experience in business class travel for my recent trip to Korea with not one, but two different airlines. Talk about leapfrogging ahead yeah? Anyway, this is my account of flying business class with Malaysia Airlines on my way to Seoul to see EXO in concert. I had a quick connecting flight from Singapore into Kuala Lumpur International Airport (Terminal 1) in order to position myself take advantage of the relatively cheaper business class fare on Malaysia Airlines (newbie travel hacker here) but probably over budgeted my transit time as I ended up with over 4 hours to kill. Luckily I had lounge access to while away my time. 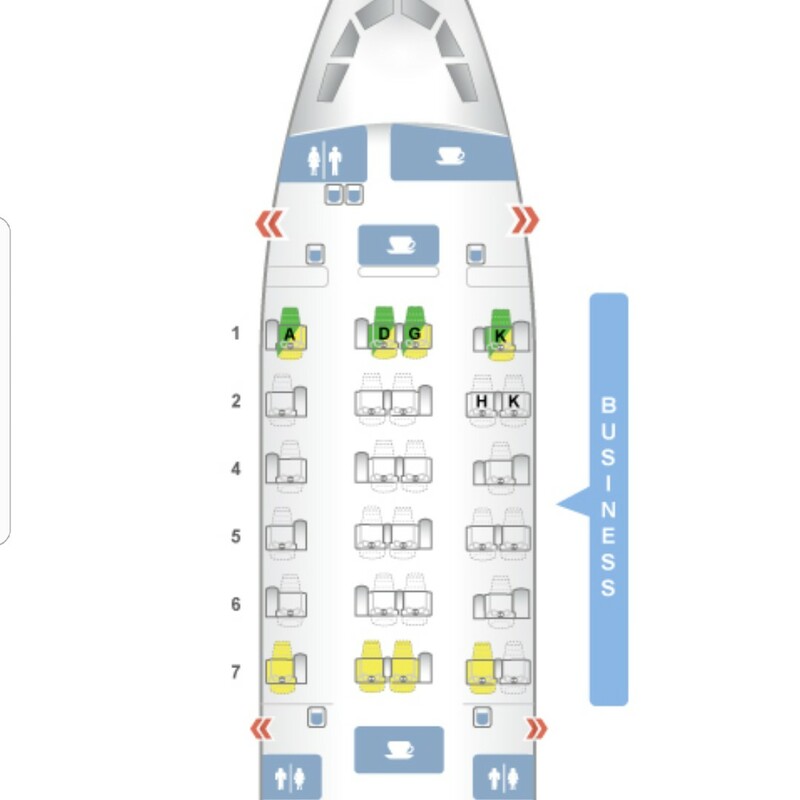 As I was travelling alone I chose seat 2A, which is a single seat on the left most aisle, primarily for the fact that the seat table is positioned on your right side, thus giving you a decent semblance of privacy and the illusion of being further away from your neighbour across the aisle. The best seats are supposedly the throne style seats which are in 1K, 4K and 6K (stock picture below) but they were already occupied when I made my booking. No empty cabin shot for me though as it was a full flight and many of the business class passengers were in a hurry to board first. I’ve never been so eager to board a plane before! 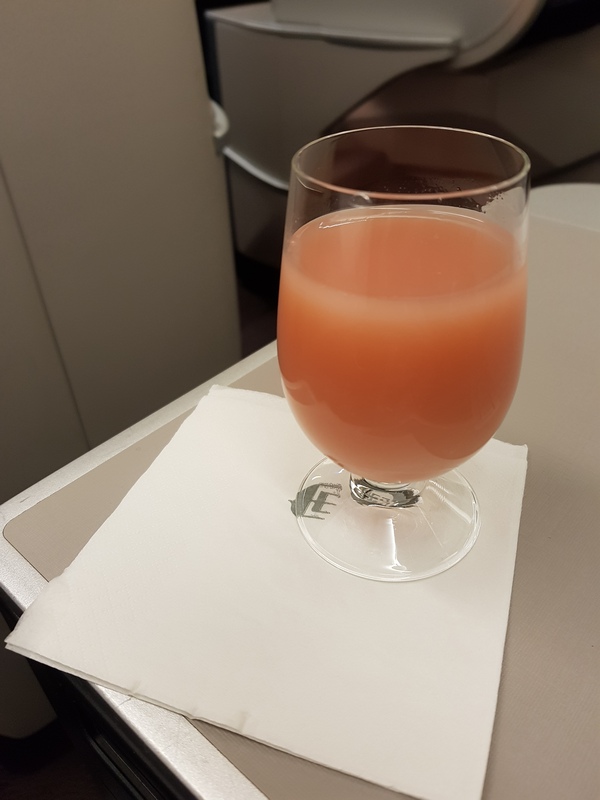 I opted for the pink guava juice as my pre-flight drink. 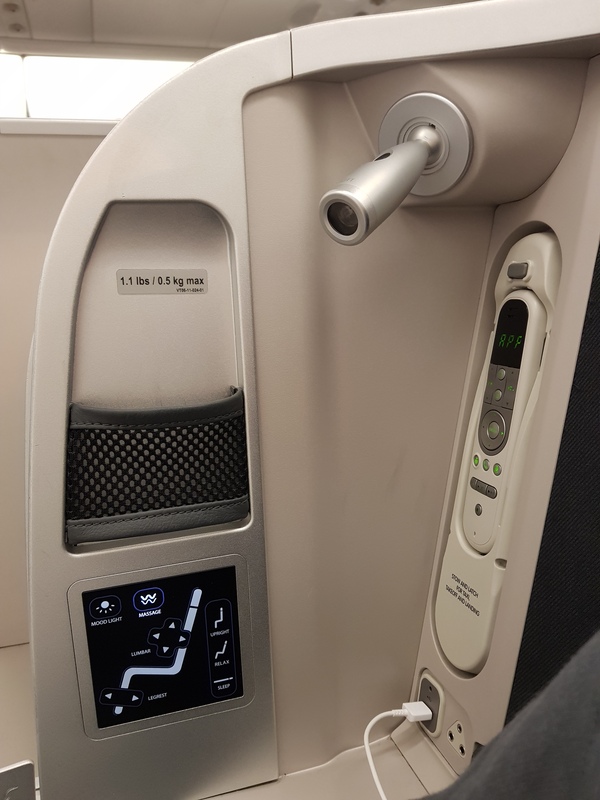 The business class seats on the A330 come with an inbuilt massage function, which was pretty cool for all of 15 minutes before I turned it off in favor of finding the optimum seat angle for me. Adjusting the lumbar support worked best for me along with raising the leg rest. Maybe it’s just me but the positioning of the IFE controller and USB charging point was not the most comfortable if you’re the type to mess around with the controls. Speaking of the IFE, I scrolled through the whole library and found nothing that I wanted to watch but that’s just me being picky. I’m sure there’s something for everyone. I was practically tapping my feet in joy at all the leg space in front of me – I’m not the tallest female around but still space is always appreciated especially in comparison to economy class. I can see how the narrow foot space in front might be a bit tight for some when the flat bed is fully extended though. Right after the plane reached cruising altitude the first meal service commenced. First the crew brought out the standard fare of nuts and I requested again for juice. Much to the chagrin of the friendly flight crew who seemed rather amused that I didn’t want alcohol. Although I’d already had a pre-flight meal at the lounge I won’t say no to the famed Malaysia Airlines satay. 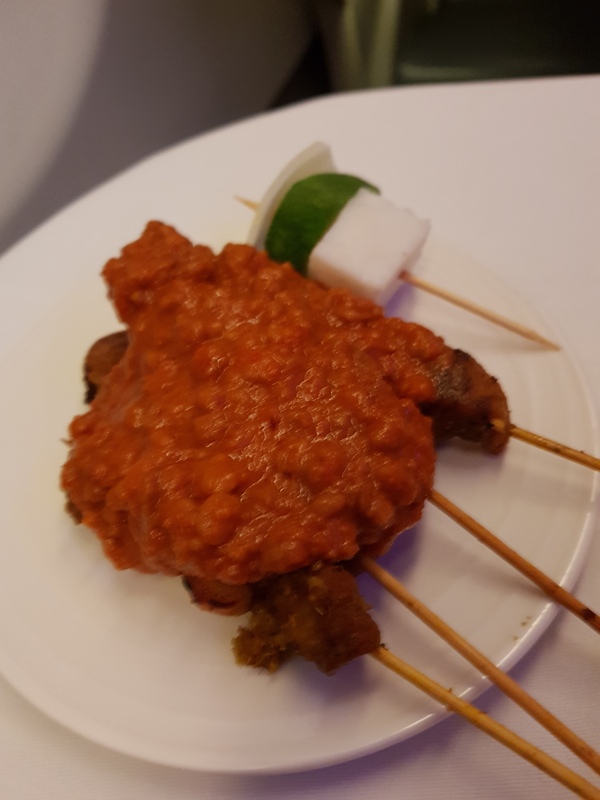 The satay was superb as I’ve heard it would be – tender moist chunks of chicken covered in peanut sauce. I rather wish there was more to report back on but the rest of the flight was just meh for me. A couple of contributing factors – one of the male passengers was a heavy snorer and it meant that I couldn’t doze off until much later into the flight. 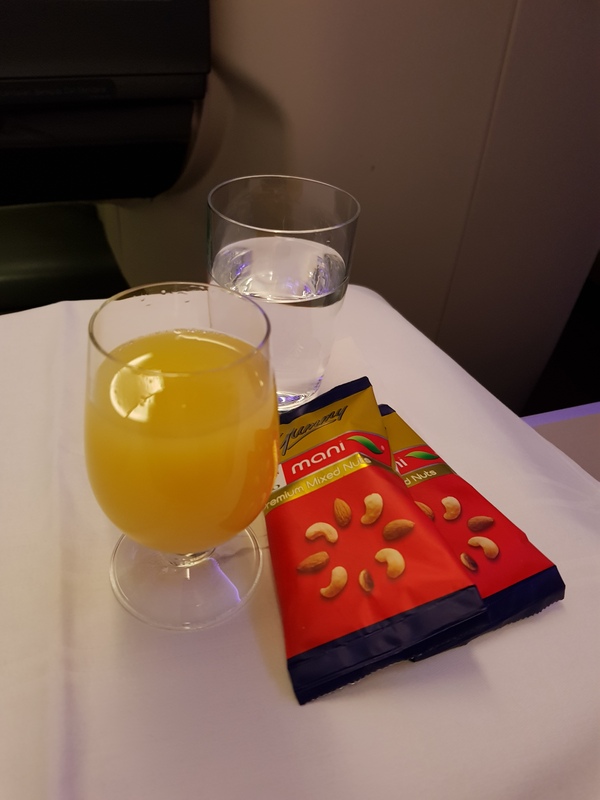 I’d asked to be woken for breakfast, but the crew didn’t seem to have taken note of this – I only woke on my own when the captain announced final descent to Incheon – and it meant that I missed the breakfast service entirely. When I wanted to use the bathroom it was occupied by another passenger for over 20 minutes and while the crew mentioned that they would alert me once the toilet was available, they never did. The service by the flight crew was not what I would’ve expected from J class – it was a lot more like normal economy class standard. 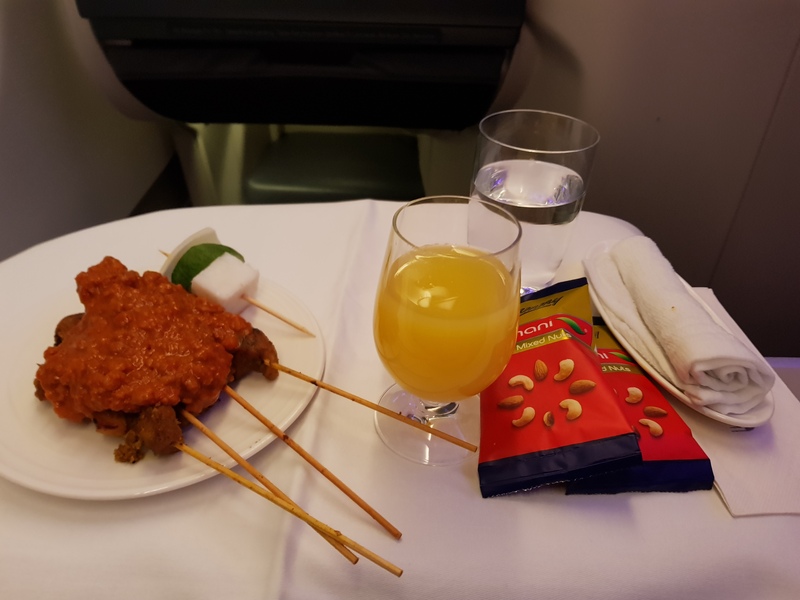 I’m not certain how much of this was due to training or just preferential treatment by the crew because I saw and heard them attending to other passengers differently – one passenger in particular seemed to be a celebrity or well known persona. Said gentleman was even escorted to the toilet by the crew! Given that this was my first time flying Malaysia Airlines business class, it was a relative disappointment. 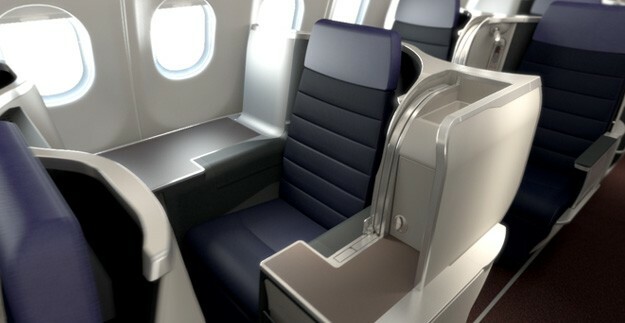 The hard product is more than decent and I’d happily fly longer distances with this seat, but the service leaves a lot to be desired. I can only hope that it was just my luck of the draw in getting that set of cabin crew and make a minor excuse for them that the cabin was full, hence the lack of attention. Luckily, my return flight on Singapore Airlines was a completely different service experience compared to this one! Next Entry Fancy a walk around Yeouido to visit Korean broadcasting stations (KBS, MBC)?